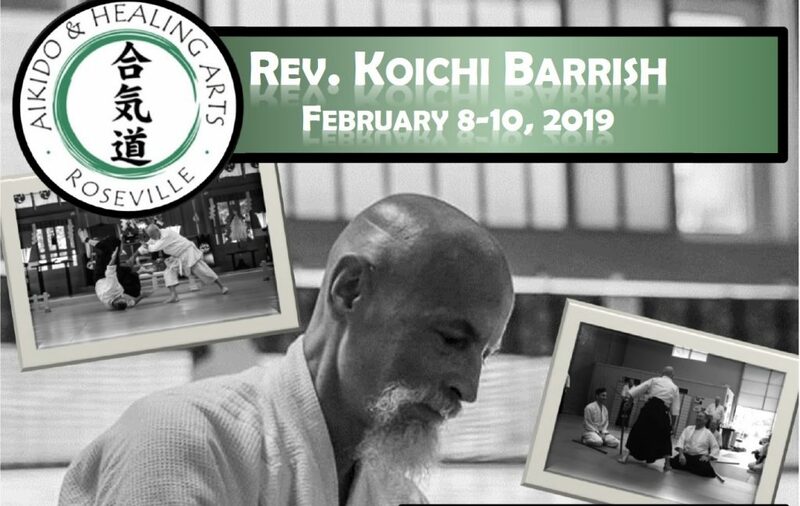 The Aikido & Healing Arts of Roseville is delighted that Reverend Koichi Barrish will return for the 5th Annual February Visit to the dojo. Barrish Sensei has graciously accepted our offer to return to Northern California and will lead aikidoka in a three day exploration of aiki technique. Please join us at the Aikido & Healing Arts of Roseville for our fifh annual, aikido seminar with the Head Instructor of Kannagara Aikido / Senior Shinto Priest of Tsubaki Grand Shrine of America Reverend Koichi Barrish. Barrish Sensei’s seminars are always a tremendous opportunity to explore the dynamic energies of aikido practice; we look forward to a fantastic three days of open hand and weapons’ training.